↑ Fishman, Charles (January 31, 2001). "Face Time With Jeff Bezos". Fast Company (in ਅੰਗਰੇਜ਼ੀ). Retrieved April 16, 2018. ↑ Martinez, Amy (March 31, 2012). 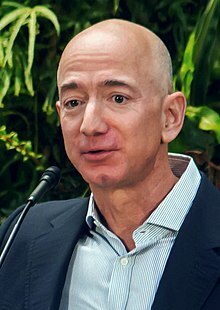 "Amazon.com's Bezos invests in space travel, time". Retrieved August 10, 2013.